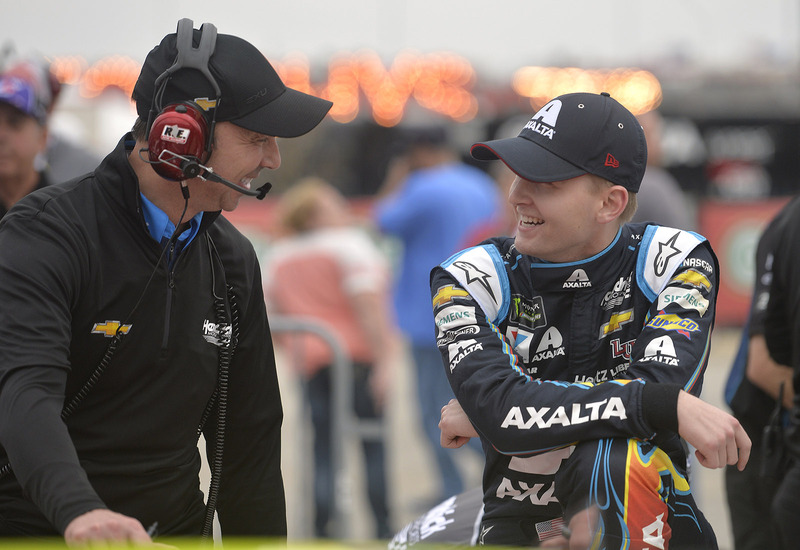 Despite the fact that William Byron may be a 21-year-old sophomore racer, his tremendous talent is quite prevalent. Consider the fact that his racing origins stemming from simulation racing as a teenager. 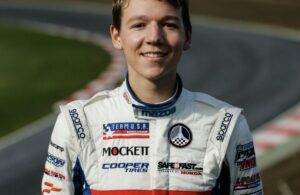 Impressively, he embarked on his on-track racing career at age 15 as a Legends racer. Without delay, Byron showcased his confidence behind the wheel, graduating from Legends to late models and eventually over to NASCAR. Given these points, the Charlotte, N.C. native earned the 2015 NASCAR K&N Pro Series East title and 2017 NASCAR XFINITY Series championship. On that same note, Byron won rookie honors in the NASCAR K&N Pro Series East, NASCAR Gander Outdoor Truck Series, NASCAR XFINITY Series, and Monster Energy NASCAR Cup Series. By and large, Byron has quite the remarkable stock car resume. In any event, Byron realizes there’s still much to accomplish in NASCAR. Given these points, he realizes and respects how intense Cup racing is on a weekly basis. Despite driving the No. 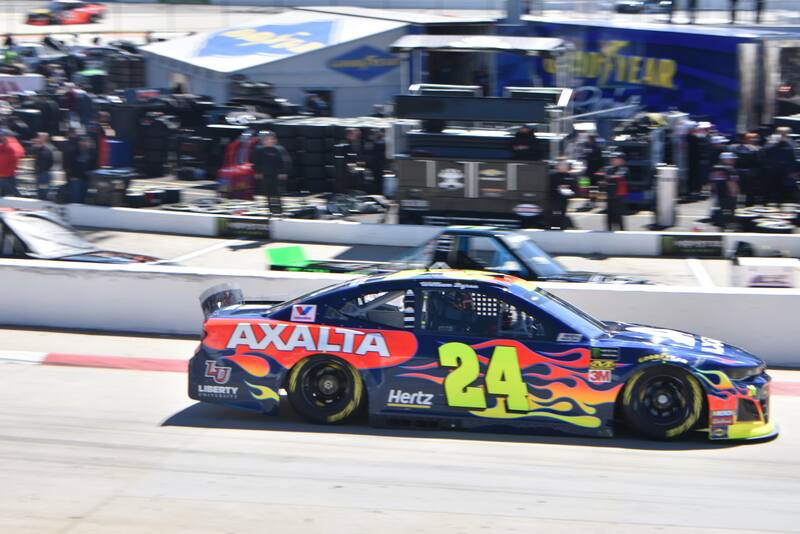 24 Axalta Chevrolet fielded by Hendrick Motorsports, the young racer aspires for strong results. Fittingly, Byron has a legendary crew chief, Chad Knaus, calling the shots. Ultimately, it may be a strong combination for many years to come as both seek consistent excellence on the track. 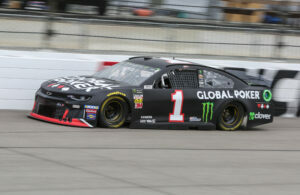 By all means, Byron’s displayed that potential with the 2019 Daytona 500 pole followed by a second starting spot for Sunday’s O’Reilly Auto Parts 500 at Texas Motor Speedway. 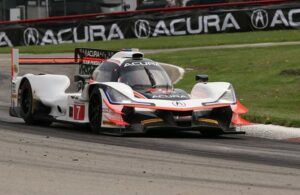 All in all, Byron hopes to back those solid qualifying efforts with consistent top-10 finishes and moreover, a win this year. Prior to Friday’s group qualifying rounds at Texas, I caught up with Byron to get his take on his season. For the most part, Byron expressed confidence with his No. 24 team and the entire Hendrick organization. Before they go green at Texas, let’s get “In the Driver’s Seat with William Byron,” here on The Podium Finish! Rob Tiongson : In your second season in Cup and with Hendrick Motorsports, how would you evaluate yourself in terms of your performance on the track and growth as a driver? 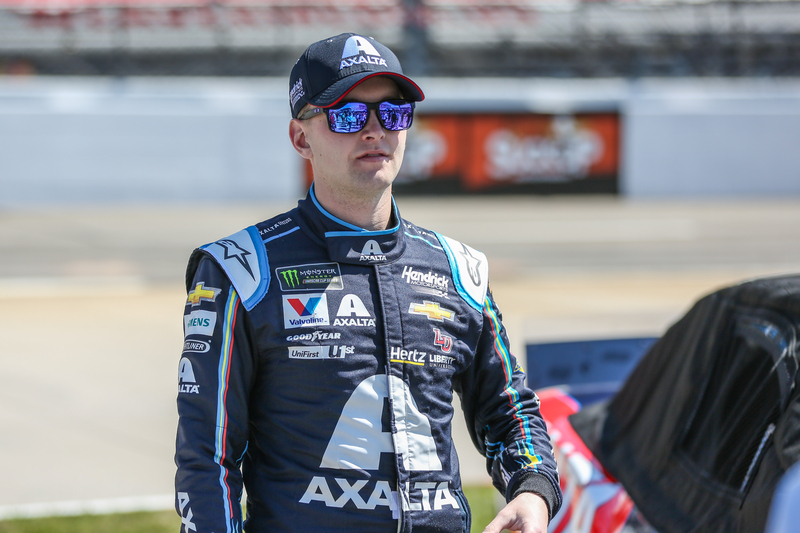 William Byron : I think the first year, you’re kind of going through the growing pains of getting to the tracks for the first time and doing everything relatively new and figuring out your way around the garage. During the second year, you just don’t have to worry about those things. You can go out there and worry about what’s going on in the track. I think that’s been beneficial for me. We haven’t had the finishes that we wanted the past couple of weeks. But I think that this weekend, we can hopefully turn the corner and get back on in the right direction. Rob Tiongson : I have to imagine that you’re learning a lot with new crew chief Chad Knaus like you are with your classes at Liberty University. What’s some of the neat concepts or approaches you’ve gained from him that’s helped you on the track? And what’s harder, a challenging class at Liberty or working with Chad on a tough day? William Byron : (laughs) He’s honestly not as scary as everybody says. He’s intimidating sometimes when you’re talking to him, but you’ve just got to speak up and tell him what you think. He’ll usually accept whether we have a difference of opinions on things. We usually accept it and go on from there. I enjoy it cause he’s doesn’t get offended very easily. So, I think that helps when you’re working with the guys in the heat of the moment and trying to get the most out of your performance on the track. Rob Tiongson : Like some of your peers, you’re balancing your racing efforts with your education as you study at Liberty University. How has that been like for you to do both given you rigorous schedule? William Byron : It’s been pretty normal for me for the last couple of years. It hasn’t really changed a whole lot this year but the Cup schedule’s very difficult and there’s a lot of travel. You mix in things with that you try to do to help yourself get better during the weekend. It becomes a lot. You just have to get the right amount of rest and really, that’s what I’ve seen is just time management of that stuff. I think it really comes down to how I manage it. Rob Tiongson : I’ve noticed that you’ve become more comfortable in terms of showcasing your personality, particularly with your social media channels with your wisdom teeth removal a few months ago. What’s it been like to find your comfort with showing your true self to your followers and race fans on social media? William Byron : Yea, honestly, it’s hard during the season cause when you’re not performing well, it’s hard to be 100 percent yourself. But I think that when the offseason comes and things are going good, it’s good to kind of get out there and show people what you’re doing. A lot of people use it as an excuse when you’re not doing well or why you’re not doing well. It just depends on the time and I think during the offseason, I can kind of let loose and I’m not worried about what I’m doing on the track, which I think helps just to get that out to people. I think as the year goes on, for sure, you get more comfortable. Rob Tiongson : It would seem like you and your Hendrick Motorsports teammates get along well on and off the track. Is that an accurate description or are there times when you have to iron things out during tense moments? 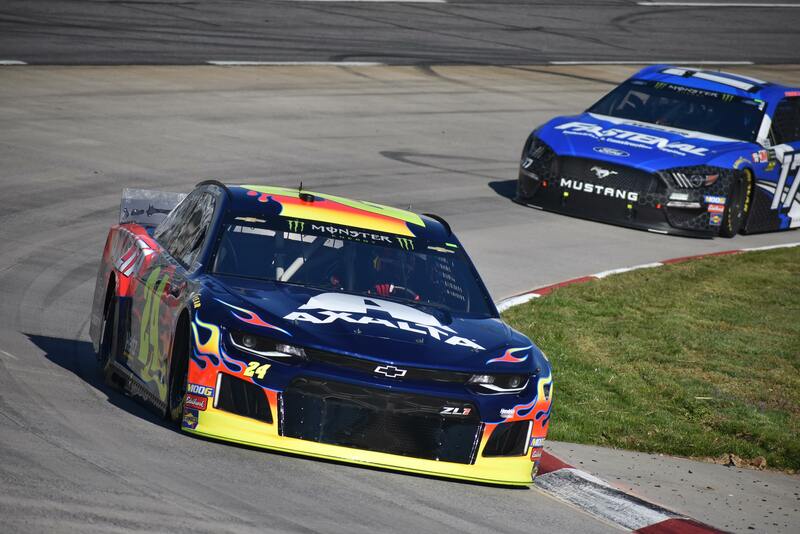 William Byron : Honestly, there hasn’t really been any tense moments between us. All of our team members and guys at the shop, everybody works really well together. I think that it helps having that camaraderie with the four drivers and the teams and not having beefs between the drivers. I don’t think that really helps. So, I think it’s been pretty smooth with all of us. Rob Tiongson : E-sports has been emerging over the years. NASCAR has embraced it through its eNASCAR Heat Pro League this year. How critical is it for NASCAR to be successful with this platform and as someone who’s graduated from virtual racing to on-track racing, would you say a lot can be learned from either for aspiring racers? William Byron : For sure, I use iRacing during the week. You can ask anyone on iRacing and they can tell you I was on there this week, and every week, really, trying to improve. I think honestly, as a driver, you’ve got to win and winning helps that confidence you have. So I kind of use iRacing, not that I win every race on there, but I can win on there. And, I can be competitive and it’s just fun. It helps me know what things I can work on. Rob Tiongson : Each driver, crew member, and member of the media has that unique story where they were initiated into NASCAR. For you, good, funny, or both, what would you consider to be your “Welcome to NASCAR” moment? William Byron : That’s a good question. I don’t know…I’d say last year going out to Vegas for the banquet and celebrating my 21st with other drivers. That kind of got the barrier down of feeling like I was really young in the sport and crossing that threshold a little bit. William Byron : Well, it’s not a great thing (to win). But I’ve learned that if you just hold it inside all of the time, that’s not really the best way to go about things. (laughs) It usually leads to explosions of emotions after a while. So I think it just helps, kind of, to getting out your frustrations, not all the time on the radio, but sometimes it helps. Rob Tiongson : Netflix released a neat 10-part documentary following various Formula 1 drivers and teams last year. With this in mind, would you be open to a similar series like this, NASCAR style? And if so, who would you want this documentary to follow for a year? William Byron : Oh yea, I think it’d be awesome. I’ve been watching that and it’s very impressive. We need stuff like that in our sport. That’s really what captures what’s going on. I liken it to what they did in football with Hard Knocks and some of the sideline audio and even like game play. I definitely think it’s needed in our sport. And, I think it would help take it to the next level to help people understand what’s going on. So yea, I think it’d be awesome. 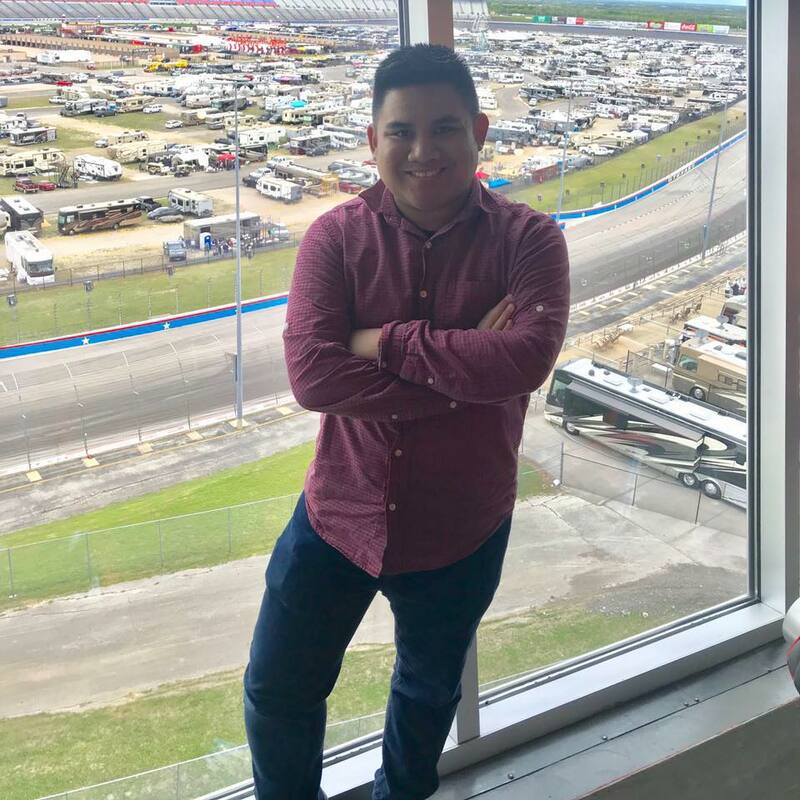 Rob Tiongson : If you had to give yourself a Class of 2019 NASCAR superlative, which one would you choose? William Byron : Oh man. I don’t know what’s a high school superlative. I think I got in high school “most likely to get lost” or something. Hopefully I don’t get that one. I think I’d be the quiet one. I don’t know if they have one like that. Rob Tiongson : Well if you need a GPS, I’ll let you know where to be. 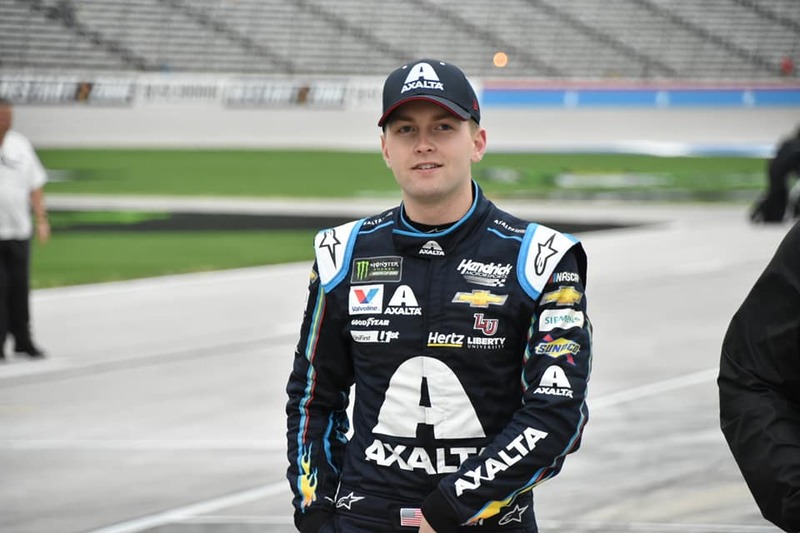 Special thanks to William Byron and Hendrick Motorsports during the Texas race weekend! Learn more about William on Twitter, Facebook, and his official website!